Happy St Patrick's Day! Do you celebrate St. Paddy's? Any fun St. Pat's traditions in your house? 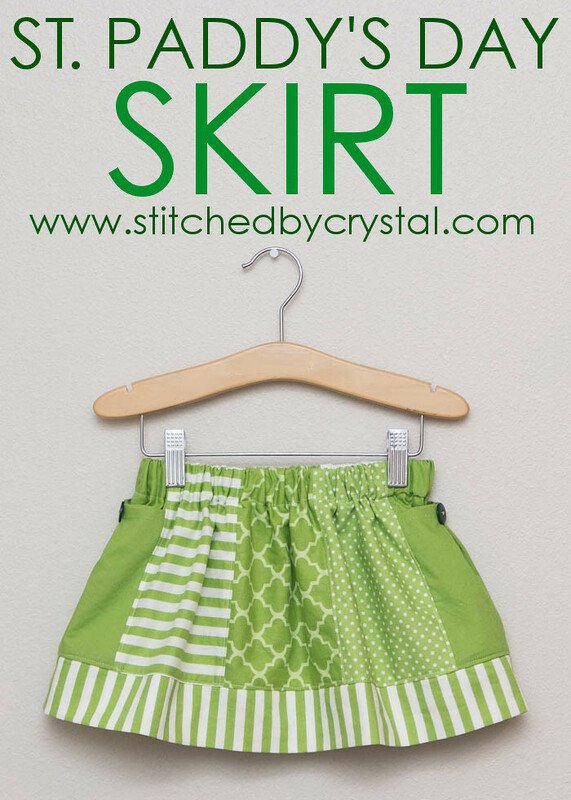 I told you last year about how much I love St Paddy's day when I made Em this skirt. It was always a fun little celebration in my house when I was growing up, and I am excited to share that fun with my kids now. Well, I realized this weekend that Em had nothing green to wear. 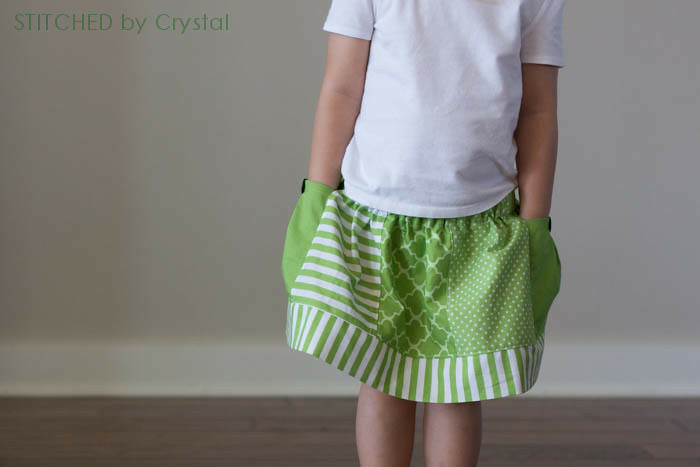 So, I did what any mom who sews would do late at night on March 16th....I whipped up a quick green skirt for her to wear today! 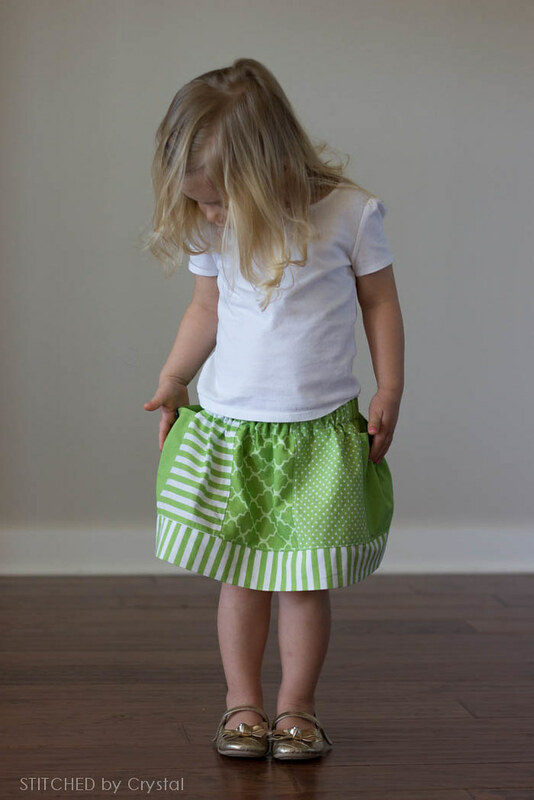 The skirt was a quick sew. 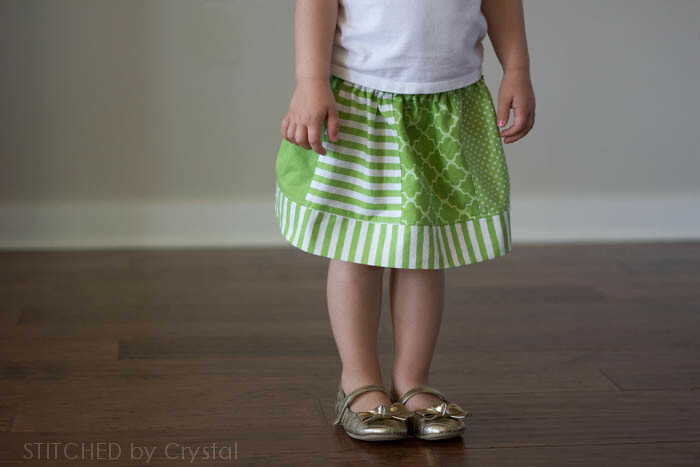 All the fabric is from the newer Waverly fabrics that Walmart carries, so at under $4 a yard the skirt was cheap too! 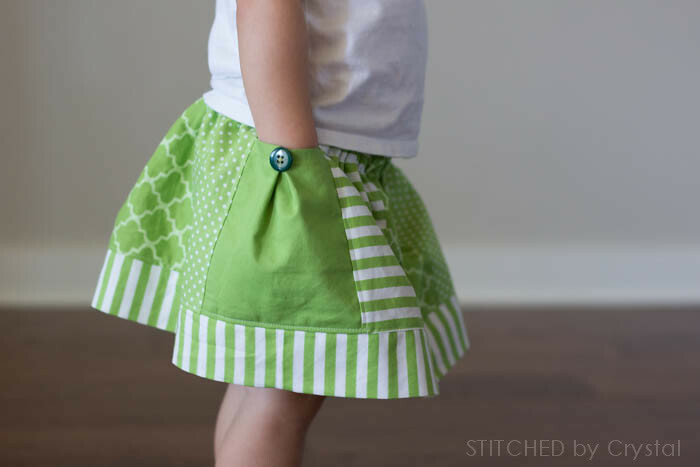 I added some little pleated pockets with green buttons because this girl loves pockets! And she added her gold shoes...perfect choice! She needed a white shirt to wear with it too. She has grown out of all her white tees and tanks from last summer, so I took one of her long sleeved white shirts and cut the sleeves off. And there you have it! 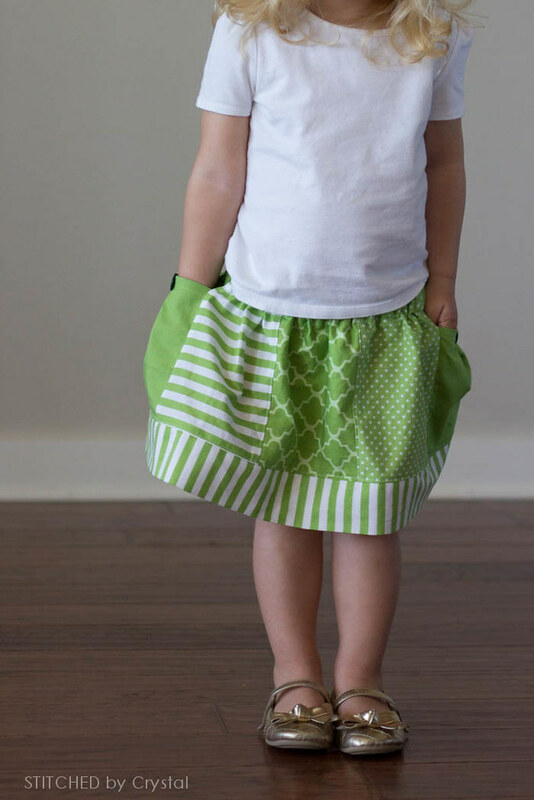 An outfit for St. Paddy's day...and now there is no chance she will get pinched!